Douglas Elliott wants you to tie the knot! 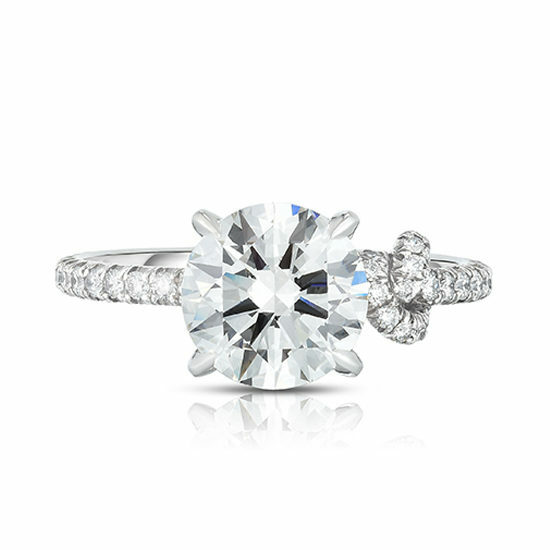 This Round Brilliant cut diamond solitaire features a handcrafted knot, encrusted in micro pave diamonds, on the band. Shown here with a 2.00 carat I color VS2 clarity Round Brilliant cut diamond, set in platinum. 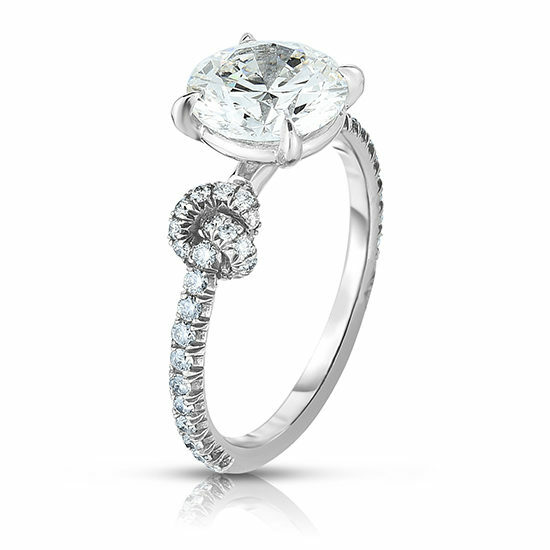 Bespoke Custom Design Services for this ring start with approximately a 1.00 carat diamond or precious gem center stone. This setting is meticulously sculpted in platinum, 18k yellow gold, or 18k rose gold. Made in NYC. 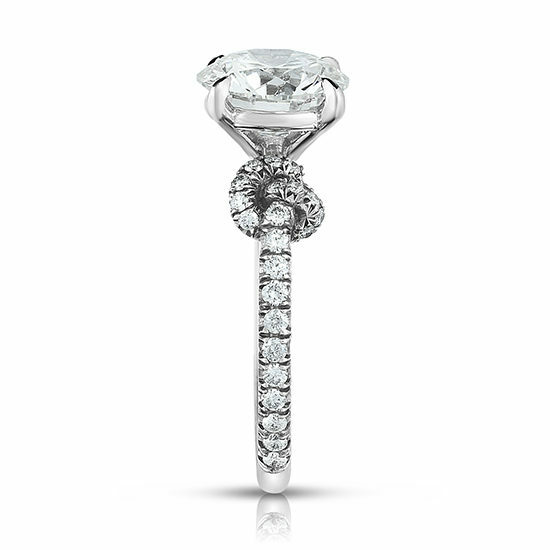 Please contact us to schedule an appointment with a diamond specialist and explore the different options available to you. 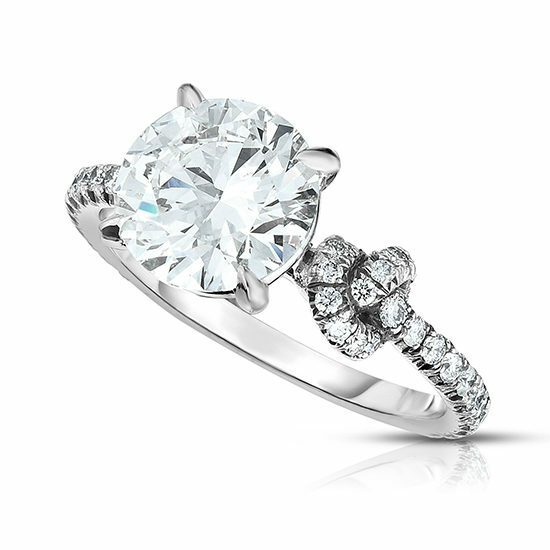 We look forward to creating your perfect ring.